The Food Alphabet and More: Rekindle the joy with Starbucks! 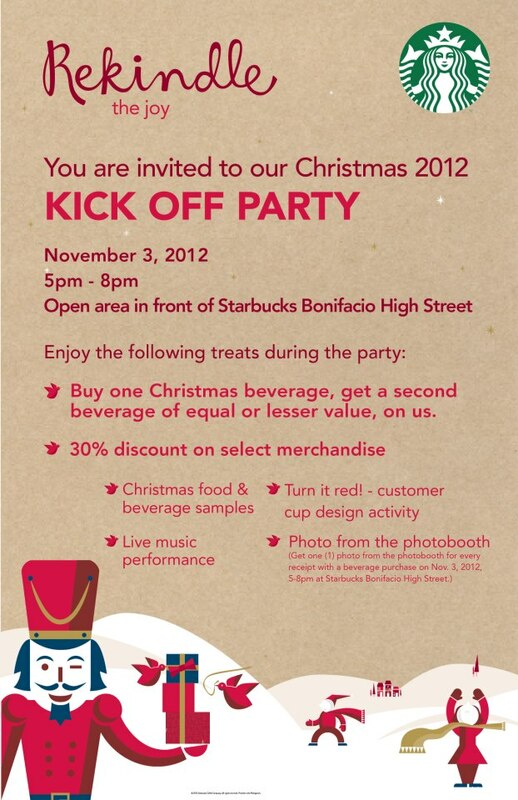 Enjoy the Starbucks Christmas 2012 Kick off party! 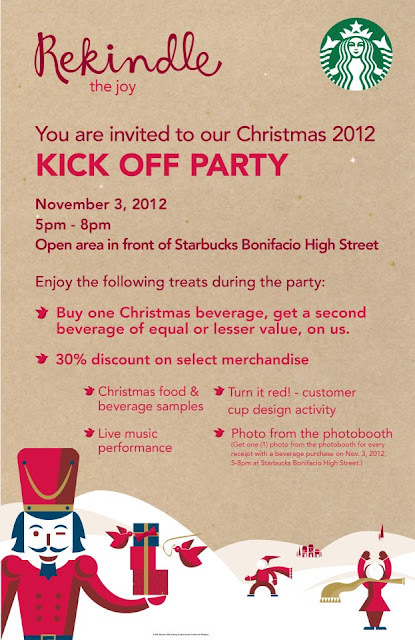 It's the season once again of Christmas, and Starbucks is leading the way and starting it off is the Starbucks Christmas 2012 Kick off party! With Buy one Christmas beverage and get a second one FREE, 30% discount on selected merchandise and a whole lot more. Be there on November 3, 2012 at the open area in front of Starbucks Bonifacio High Street! Get to Christmas food and beverage samples, fun activities, live music performances and more. Best of all get to enjoy the Starbucks Christmas experience once again.